Ana Maria Pacheco is an artist of extraordinary diversity. Her work draws on a wide variety of cultural references from her Brazilian heritage, including folklore, classical myth, mystical Catholicism and medieval satire. She moves freely between one medium and another, producing drawings, etchings, paintings and monumental sculpture. Pacheco uses her source material to create works that play with the art of storytelling. She has developed a particular use of symbols, motif and devices that combine to produce a distinctive and fantastic imagery. The image of the journey is one of her recurring motifs. In 1987 she produced two large dry-point incised images entitled The Longest Journey I & II, the ideas eventually developing into this large sculptural group. Ten human figures are travelling in a massive boat. Half are dressed conventionally, with Pacheco’s signature polychrome painting and real, implanted teeth. The other five are more ambiguous, still with distinctive faces, but painted in white with long cloak-like garments. 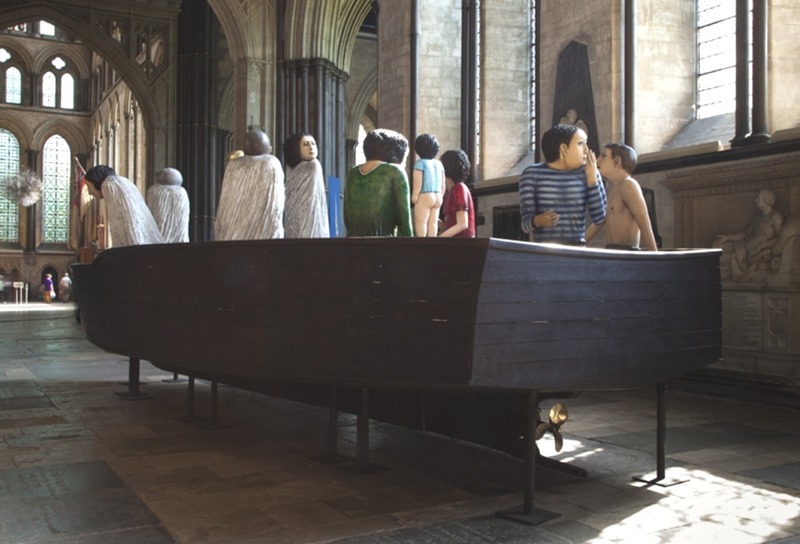 Ana Maria Pacheco: The Longest Journey, 1994, polychromed wood, 320 x 335 x 1000 cm. This work has been on show as part of the exhibition Masterpieces: Art and East Anglia at the Sainsbury Centre for Visual Arts, Norwich, England. 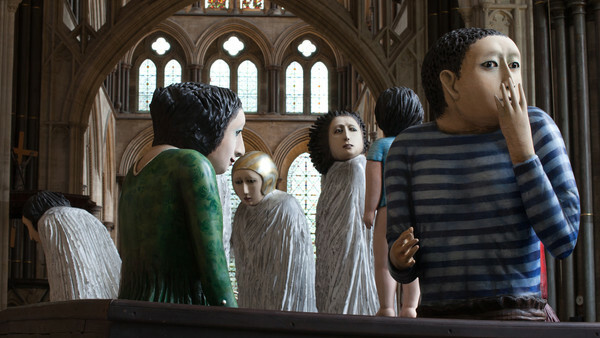 The images above show the sculpture installed in the North Transept of Salisbury Cathedral during the Salisbury International Arts Festival 2012. Photographs by Colin M. Harvey, reproduced courtesy of Pratt Contemporary. The Longest Journey has been exhibited more recently in Masterpieces: Art and East Anglia at the Sainsbury Centre for Visual Arts, Norwich, England (14 September 2013 to 24 February 2014). Ana Maria Pacheco was born in Goiania, Brazil in 1943. After degrees in both art and music she taught for several years before going toEngland in 1973 on a British Council Scholarship to the Slade School of Fine Art, London, where she studied under the figurative sculptor Reg Butler. She quickly established herself as an extremely talented and diverse artist, with work ranging from painting and sculpture to printmaking. Today she is regarded as a leading contemporary figurative artist in Britain. 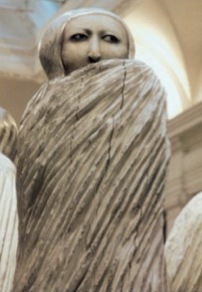 In 1996 she was invited to become the fourth Associate Artist at the National Gallery, London (1997-2000); she was both the first non-European and the first sculptor to take up this appointment. Pacheco sculpted Dark Night of The Soul during this time. She is represented by Pratt Contemporary, The Gallery, Ightham,Sevenoaks, TN15 9HH, UK. Meryl Doney is a freelance fine art curator, specializing in presenting exhibitions in cathedrals, churches, festivals and other challenging spaces. She has curated over 40 exhibitions and performance pieces, including Moon Mirror by Rebecca Horne in St Paul’s Cathedral and Presence: Images of Christ for the Third Millennium, a series of thirteen different exhibitions involving 50 contemporary artists. Between 2006 and 2011 she was Director of Wallspace, a 'spiritual home for visual art' in All Hallows on the Wall church in the City of London, England.